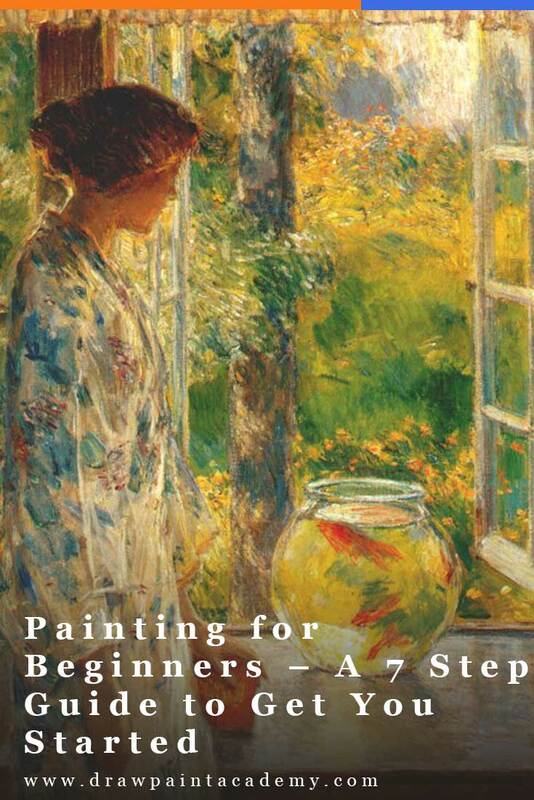 This is a comprehensive guide for absolute beginners looking to get started in painting. In writing this, I considered what I would do if I had to go back and learn painting all over again. Before you go out and buy all your new art supplies and start throwing paint onto the canvas, you should consider why exactly you want to take up painting and what you want to get out of it. Your answers will determine how you proceed and what you should focus on learning. I don’t believe that there is a static learning path that everyone must follow to master painting. Everyone has different tendencies, interests and natural skills which determine the optimal learning path they should take. For example, some people do not have the patience to sit down and accurately render every tone and detail of a subject. Therefore, they may be better suited to learn color and brushwork from the Impressionists, rather than the rigorous practices of the Russian academic painters. Or maybe you have no interest in breaking into the commercial art world and just want a fulfilling hobby. In that case, you may want to take a more relaxed approach to how you learn. 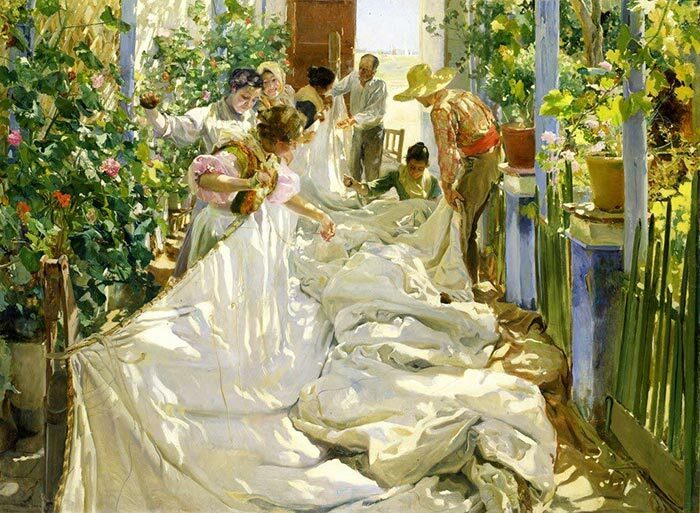 Or maybe you want to become a master realist painter like John Singer Sargent or Joaquín Sorolla. To get anywhere near this goal, you would need to follow a dedicated and rigorous training regime which focuses on drawing and the other fundamentals of painting (color, value, composition, etc). 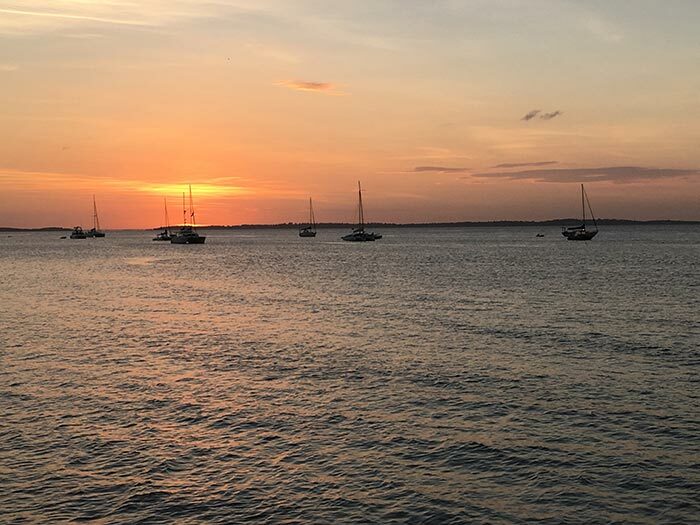 Whatever the case, it is important that you have the self-awareness for why you are doing this in the first place and what you want to get out of it. If you have not already, take a second to think about it. You may even want to share your answer in the comment section at the end of this post. Next, you should decide on a medium to focus on, at least for the short-term. This will allow you to really get a feel for how the medium works, so that you can then pay more attention to the big-picture aspects of painting, like color, composition, value, etc. The major choices are oils, acrylics and watercolours. There are some other options, like gouache and watermixable oils, but I won’t touch on these in this guide. Acrylics are widely favored by those just starting out with painting as they are easy to use and do not require any special supplies. The downside is they dry very fast. You are a complete beginner and do not want to worry yourself with the complexities of oil and watercolor painting. You want an easy cleanup time. You are painting on a limited budget. You enjoy experimenting with mixed media. You are sensitive to the harsh chemicals involved with oil painting. The paint dries very fast. This means you only have a limited amount of time whilst your paint is responsive on the canvas. Some colors darken as they dry (the colors which are lighter tend to have a greater change). I personally started with acrylics many years ago. Below is one of my childhood paintings in acrylics. I eventually moved to oils, after getting frustrated by the quick drying time of the paints. 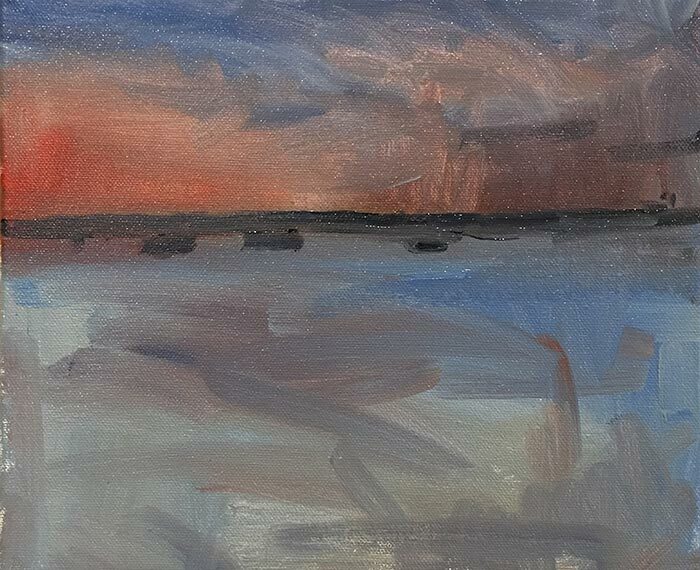 But acrylics were great for developing a broad understanding of painting whilst I was a beginner. They were favored by the all-time greats of painting. Oil paintings seem to be held in higher regard by art collectors compared to acrylic paintings (there are of course some exceptions to this). You really cannot go wrong with oil paints. 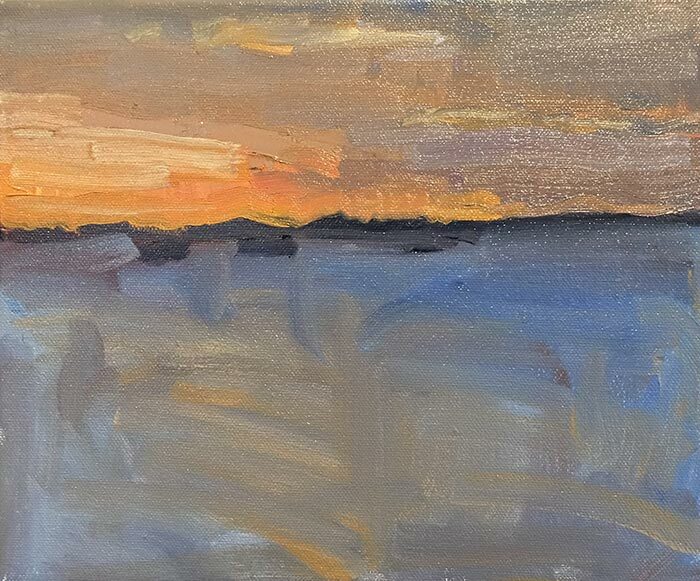 If you are not sure where to start, I suggest either jumping straight into oils or starting with acrylics with a view of jumping over to oils once you are more developed. There are some fantastic acrylic painters, but many of them paint in a very contemporary style. The traditional painting techniques which were used by the old masters are much better suited to oil painting. If you think oil painting is too complex for you, then I urge you to reconsider. There are really only a few ‘rules’ which you need to understand in oil painting and the rest is very similar to acrylic painting. Tip: For those of you who are concerned about the harsh solvents used in oil painting, like turpentine, then check out ordorless solvent. It makes oil painting much more pleasant in my opinion. Watercolors are generally considered to be the most difficult to pick up due to the untamed nature of water and the fact you are not able to do much re-working of errors (as the paper can only absorb so much water). However, if mastered, watercolors can produce stunningly elegant paintings. For this reason, I recommend you start out with either acrylics or oils before venturing into watercolors. 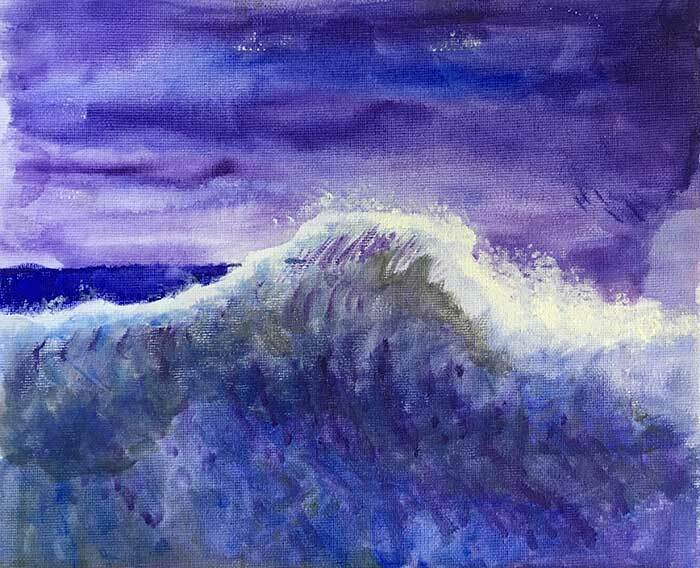 However, watercolors are a fantastic complement to your acrylic or oil painting as they train a different skillset. 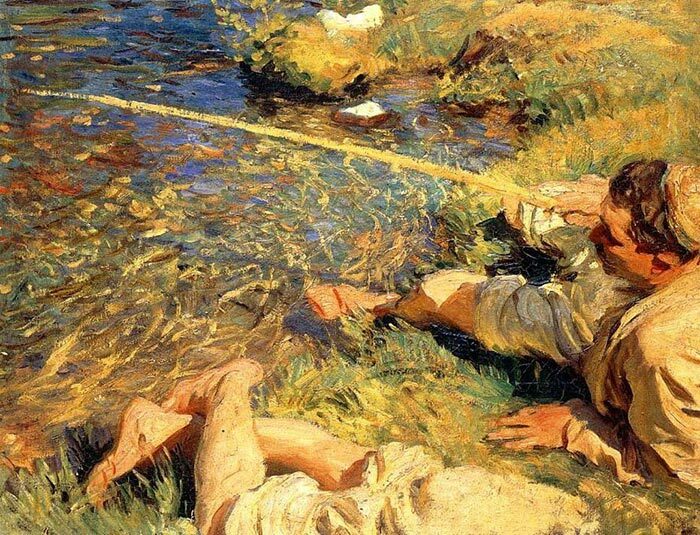 For example, John Singer Sargent was famous for his meticulous portraits using oils, but he used watercolors to paint impressionist and loose landscapes and portraits. 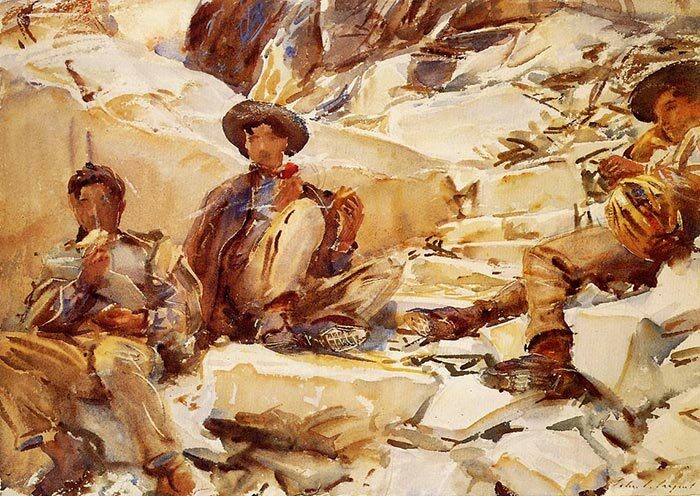 These watercolor paintings probably felt very refreshing for Sargent who would have been accustomed to the lengthy and tedious portrait painting sessions. There is no right answer here, but if you are just starting out in painting then I recommend you start with acrylics or oils. But feel free to start with watercolors if you are up for the challenge. Also, this is not to say you must choose a medium and ignore the rest. I encourage you to try all different kinds of mediums, but have one which you really focus on and get familiar with. It is better to be a master of one medium, than be average at all mediums. It's now time to stock up on art supplies. But make sure you read all of this section first before you start buying every type of brush or every color of paint – you do not actually need that much stuff! Paper towels (for wiping your brush between strokes). That is it really. Painting can be as simple as you want to make it. You will be able to find all this at your local art store. If you are an absolute beginner, it may be worth starting with a beginner package which includes most of the basic supplies you would need. You can then upgrade later on. My main suggestion is to keep it simple and purchase quality where it matters, like your brushes, canvas and paint (a premium quality easel will not make you a better painter). "If Michelangelo had possessed only a broom and a bucket of mud, he could still have painted the Sistine Chapel ceiling, and it would have been just as much of a masterpiece!" I go into more detail on painting supplies in this guide. I am a big believer in learning efficiently rather than just putting in time for the sake of it. You could practice for years and hardly improve if you don't know what you are doing. This is where the fundamentals of art come into play - color, value, composition, edges, brushwork and technique. These are what I consider to be the core pillars of painting. It is important that you get familiar with them early, as they will help you understand what exactly is going on when your brush hits the canvas. Learning these fundamental areas will benefit every stroke you make. Color: We are all familiar with color, so much so that we take it for granted. Few people fully understand and appreciate what color actually is. I find it easier to comprehend color in terms of hue, saturation and value. These are the three elements which make up a color. Hue refers to where a color is located on the color wheel. Red, blue, yellow, green – these are all different hues. Saturation refers to how rich, intense or vibrant a color is. Value refers to how light or dark a color is. Learn these three terms and learn them well, as you will encounter them with every artwork you create. Value: Value is an element of color, but it is generally considered as a separate fundamental area due to its importance to painting. Every color - red, blue, green, orange, purple - has an underlying value somewhere between white and black. 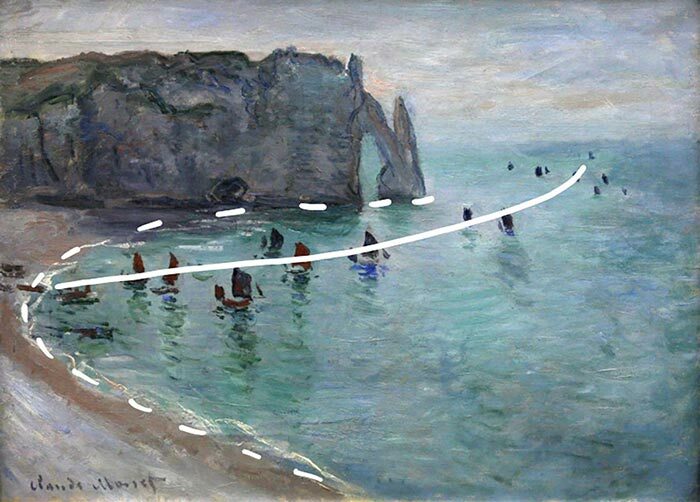 For example, take the following painting by Claude Monet. If I take color out of the equation, we are left with nothing but the different values ranging from light gray to almost black. 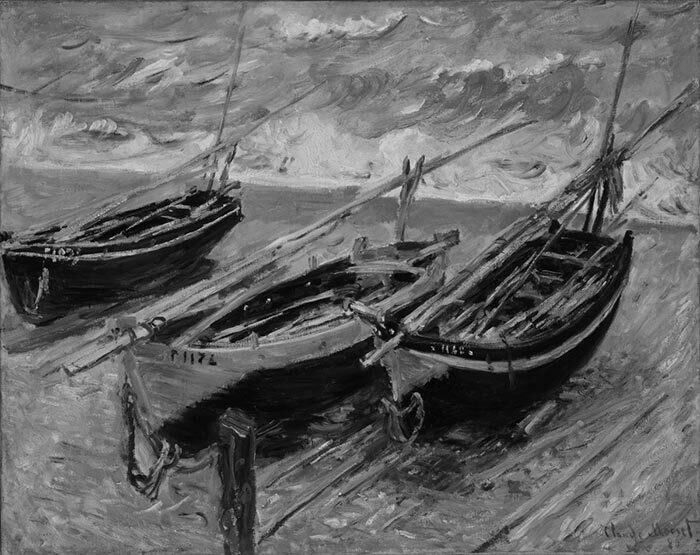 This painting has a strong value structure, as you can clearly make sense of it without color. 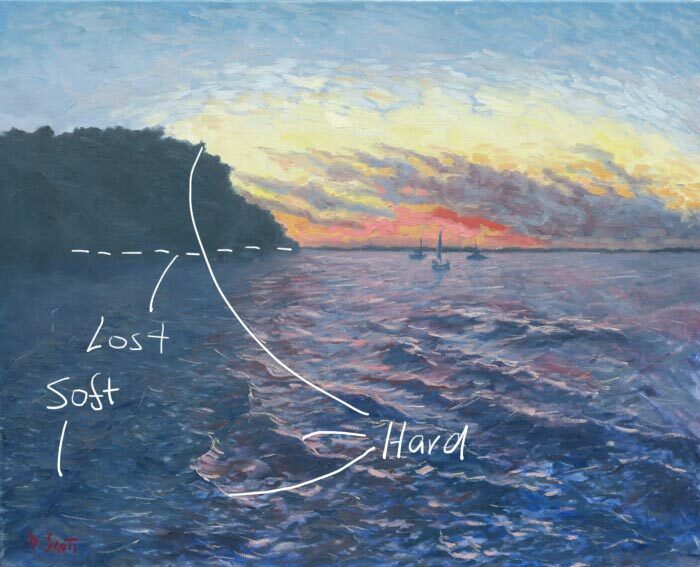 A strong value structure is not essential by any means (just look at many of the great Impressionist paintings) but it certainly helps in giving your painting a solid foundation. 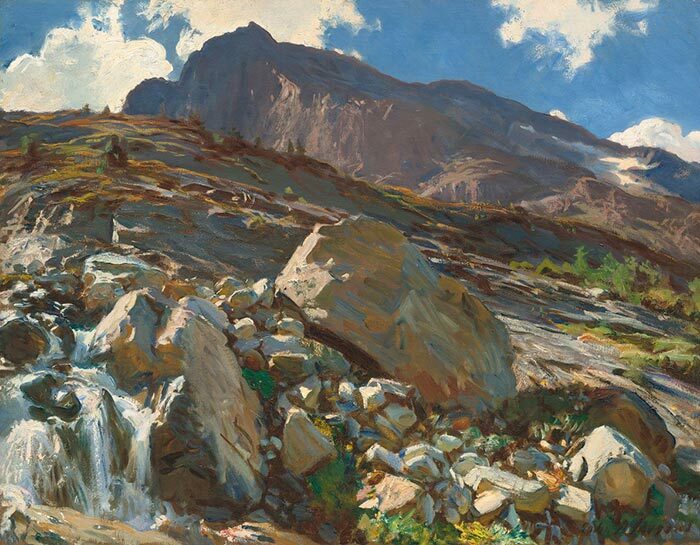 If you paint with accurate values, then you have more leeway with your use of brushwork, color and detail. That is it. None of the other stuff matters all that much. statement. It could be as simple as…. “I want to capture the way light is bouncing off the river surface". But it is important that you know what you want to say - a big idea you want to communicate. what you want to say. Think of all your individual strokes, shapes, lines, colors and textures as tools at your disposal. Edges: An edge is what separates two shapes. It can be either hard, soft or lost. Hard edges have a clean transition between the two shapes; soft edges have a smooth transition; and lost edges are so smooth you can barely see them. 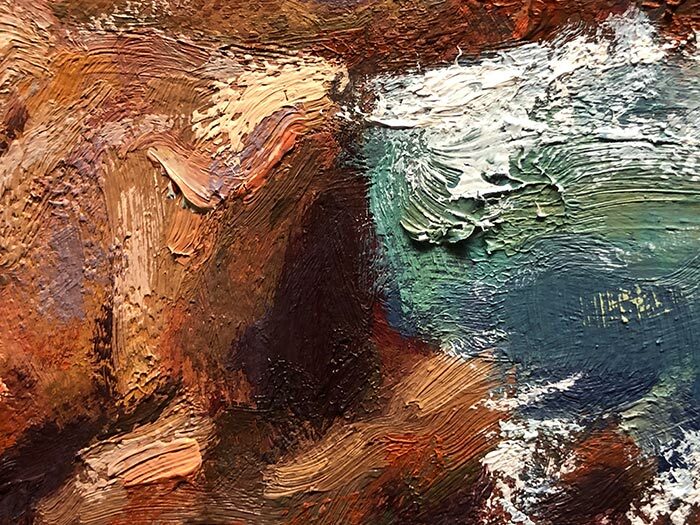 Brushwork: The physical marks left by your brush (or your palette knife, finger, or anything else you use to paint with). This is an overlooked aspect of painting, which is odd because it is what makes a painting look like a painting. If not for brushwork, we may as well just take a photograph, or practice digital art rather than traditional art. Technique: How well you are able to perform certain actions. Good technique will develop over time as you gain experience and become more comfortable with your brush and paints. But you need to be careful of any bad habits which you may pick up along the way. This could be the way you hold your brush, or the types of strokes you make. Bad habits can be incredibly difficult to fix after you have been practicing them for a number of years. To develop good painting technique, I suggest you carefully watch masters paint. Observe how they hold their brush, how they apply paint to canvas, how they mix colors, and so on. 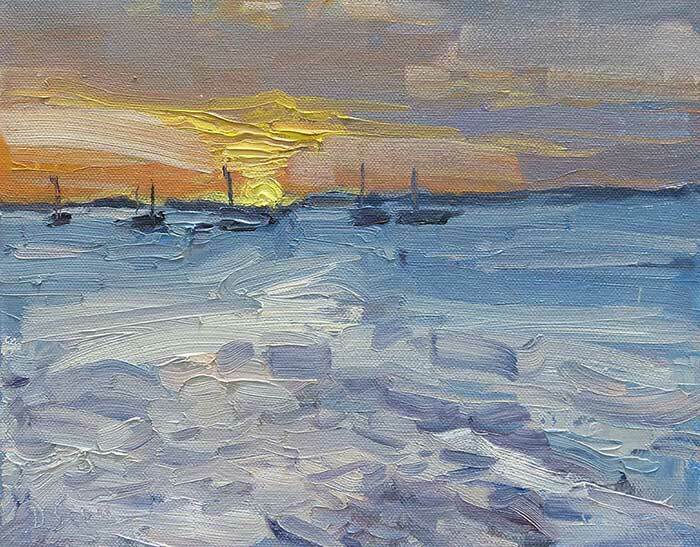 One of the most challenging aspects of painting happens before you pick up your brush – selecting a subject to paint. The perfect subject should be inspiring and challenging. You should feel the need to paint it. Is there a "big why"? A single idea which makes you want to paint it. Is there a clear and identifiable color harmony? Does the subject have an interesting design (think about the arrangement of shapes, forms, lines and colors)? Is there anything you can do to improve on the subject? Are you capable of painting it? Do you have the supplies required to paint it? What problems will you encounter painting it? Does the subject provide you with opportunities to challenge yourself and demonstrate your abilities? Does the subject inspire you? Can you see a finished painting at the end of it all? If so, do you like what you see? Ask yourself these questions next time you are not sure if a subject is worth painting. Note: These questions are not necessarily there to be answered, but rather to make you question and explore the subject before you commit to something more. I love the contrast between the light greens getting hit by light and the foreground in shadow. This is what I would focus on capturing if I were to paint it - my big idea. 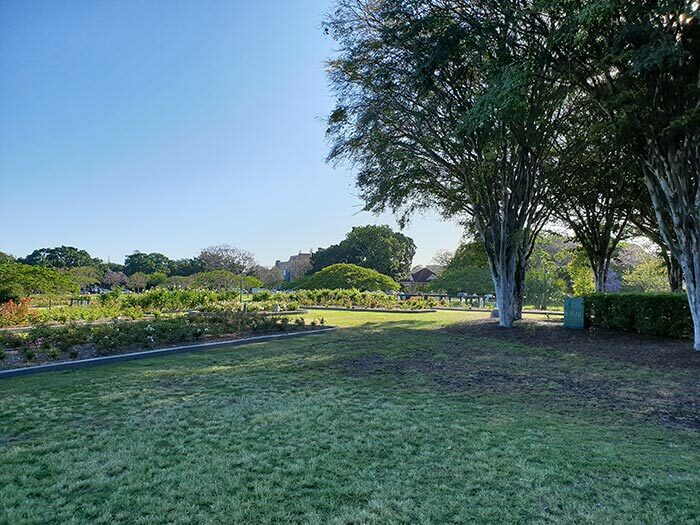 There is a pleasing balance between active and quiet places. I can see myself painting this. You are now ready to create your first painting. Just a word of warning though, it will be harder than it looks! The master artists make it look effortless, but don't forget they have been painting for many years, even decades in some cases. My main suggestion for your first painting is to start general; try to capture your initial impression of the subject. Think about the subject in terms of shapes and colors. You can then refine the painting and add more detail. As an example, I will run you through one of my paintings. Below is the reference photo I painted from. I started by loosely painting in the major colors and shapes with a light wash. I then started to build up the form and structure. The finished painting is below. This should give you an idea of how rough and general I start a painting. Of course, some subjects require more delicate attention, but that is something you need to consider on a case by case basis. Tip: Be proud of your first artworks, even if they do not turn out as planned. One day, you will look back and see how far you have come. Below is one of my early paintings from when I was a child. Not perfect by any means (I even forgot to paint the right side of the ocean...) but it reminds me of how I started. Also, don't compare your first few paintings to the works of other artists. Most people do not share their early or failed works; you only see their best. Once you have created your first painting, it is time to take a step back and review what went right, what went wrong and where you can improve. Unless you are some kind of prodigy, your first painting probably won't be a masterpiece but that is ok. Everyone starts as amateurs, even the masters. What aspects of the painting do I like? What aspects would I change? 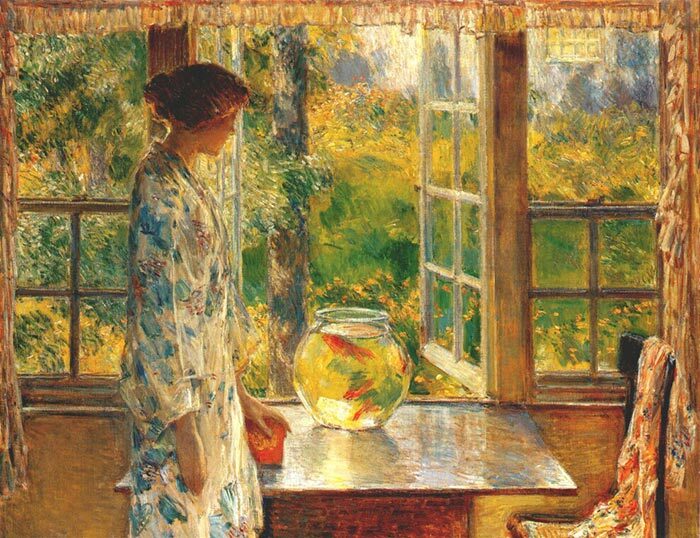 What is my first impression of the painting? I suggest you take a break from looking at the painting for a day or two, then come back to it. Do the colors work, or do they appear muddy? Is there any visible brushwork which adds to the painting? Have I captured the overall likeness of the subject? Is there anything in particular which irritates me about the painting? Have I captured the perspective accurately? Does the painting appear cohesive? Don’t worry about what other people think. Accept criticism but do not let it be the main driver for what you do. Engage in the community – enter competitions, visit galleries, talk to other artists, read artist blogs, subscribe to artist newsletters, etc. The more engaged you are, the more inspired you will be. Try not to be intimidated by artists who are more skilled. There will always be someone more skilled, experienced, knowledgeable or technical than you. Look to them for inspiration, rather than be intimidated by them. Don’t worry that much about developing a memorable or unique style if you are just starting out. It will develop over time with experience. Focus on the fundamentals - color, value, composition, edges, brushwork and technique. These areas will benefit every stroke you make and will compound your level of improvement over time. Research the masters who came before us. Learn about how they lived, studied and worked. This will provide you with a constant source of inspiration and knowledge. Don’t be afraid to experiment and try new things. Be careful of gimmicky techniques, secrets, rules or methods. Be open-minded and flexible with how you learn. The only secret to becoming a great painter is to learn, practice, review and improve. In the first part of this guide, I asked you to consider why you want to take up painting and what you want to get out of it. If you have not already, I urge you to think about this for a moment. You can share your thoughts in the comment section below. Thanks for reading and I hope you learned something new. If you have any questions or thoughts, please share in the comment section below. I may as well start. I can’t remember exactly why I started painting as I was very young. I believe I just fell into it. I do remember liking the idea of being able to capture something on the canvas. 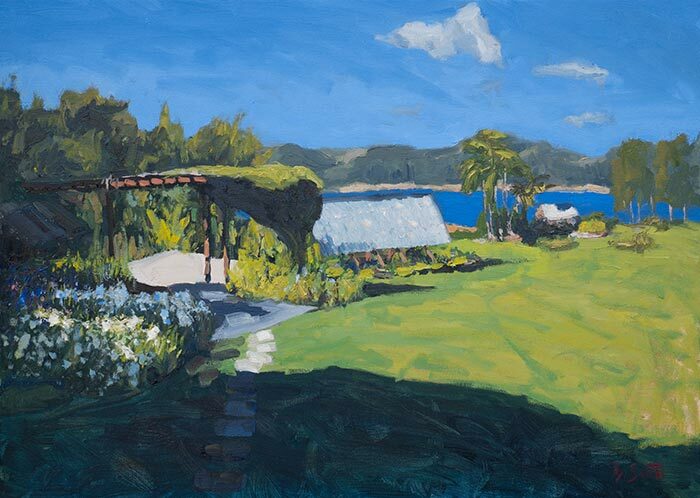 I would look at some of the great Australian landscape paintings my parents had hanging around the house and think to myself that one day I would like to paint with the same level of skill. What do I want to get out of painting? Simply the satisfaction of painting beautiful things and sharing my inspiration. That is all. I’m a simple man. Now over to you! Just respond in “Leave a Reply” below. The world around us is full of life and color. Color brings joy. I like the jewel toned colors the best, but am learning to love even the browns and greens, which i used to despise because i thought them dull. They actually help the bright colors be even more noticable. There is beauty in everything. I want to share, and bless others through cards and paintings. Eventually would like income. Hi Dan , thank you for explaining so well the different medium and techniques. 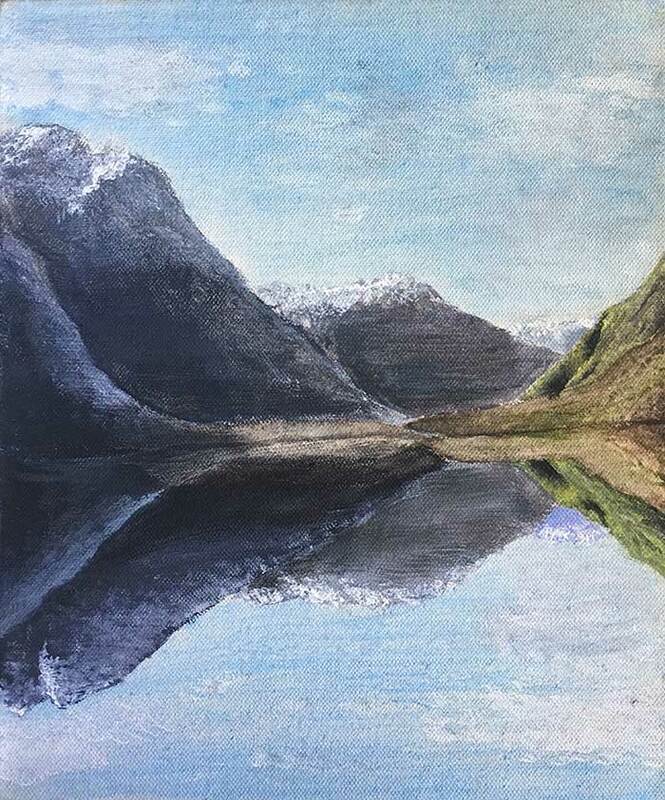 I have been drawing for a while, but was fasinated by the way you can capture the light and the glimmer on water with paints in contrast to say charcoal. My aim is to learn to put life into my work and not just look flat. I’m sure it will be a journey that will both inspire me but also improve the way I look at other paintings and appreciate their interpretation of a subject, as I am fasinated how we all see something different even yhough we are looking at the same thing. Thank you Dan, that was SO enlightening! I agree! Dan, you are a very motivating art instruction writer! I have always wanted to paint. I am know opening up a whole new world of colours textures etc. To sit with a blank canvas and then create what you have seen or imagine incredible stuffs. Thank you Dan, for making about painting easier to understand. Thank you – loved your explanation. I am compleat begginer. I love English counteyside and would like to learn one day to paint early morning sunrise in summer – i have to feel painting. But why i decided to take up painting – my love to animals. When i lost my dog i decided to paint his potrait myself because nobody else could see his soul… But i still dont know so many things and have like million questions! I am enjoying acrylics at the moment but dreaming to learn oils one day. It was very interesting read for me – thank you again. Thank you Dan!! This was very helpful! I need to be on a more of a path than continuing to meander around, forgetting, restarting, making no real progress. I can see that path in music – …learn your instrument, chords, Notes, keys, practice songs…progressive practice…practice, practice, practice. I don’t see this path as clearly in painting. Willing to put in the work though. Thank you for explanation, I now feel inspired to start!! I love reading what you have to say! I just feel a great passion to create paintings and when I finish one I can hardly wait to start another one! I have always used acrylic paint and have been painting continually for about five years now that I am retired and have more time. I think based on what you have said I might try using oils next to see how that works. Thanks for your inspiring words of wisdom. My main hobby was gardening and I took up painting initially with a thought to capture my garden as a painting not a photo both in individual flowers and as a landscape. I now find I want to paint more than garden and have recently expanded to portraits and still life. I started with watercolour but now I am in to oils am finding it much easier to achieve my ambitions. Aloha, Dan! I consider you as a personal mentor who inspires me with a common sense approach to creating art work. I am a hobbyist at heart and professional student of art who is interested in portraying nature and life. While I paint mostly for myself, it is the creative PROCESS that motivates me most of all and elements of art that intrigue me, e.g. color mixing and value contrasts, etc. 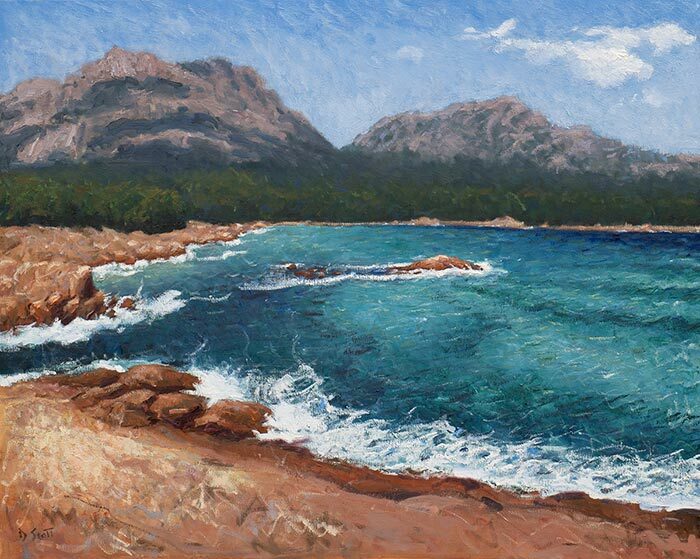 I love the magic of creating, not so much the end results of the seascapes, landscapes and portraits that I paint. I sometimes work at a snail’s pace painting in layers until the final end result, thinking all the time about what I’m doing and often who I’m painting for, e.g. the pet portraits that will be gifted to family members. Art is only one of my hobbies as I have other interests and am a musician also and play regularly with a group. Thank you so much for all that you do to encourage me in art! You’re my man, Dan! God bless you! (BTW I am 78 and never drew or painted anything at all until 2012 when my youngest granddaughter and I began to learn to draw from You Tube). Dave Smith, I wish I knew why I love art and painting. I used to draw and paint 50 years ago, then I had to move and run a family business. I lived close to Andrew Wyeth and drove by his home at least once a week. There is a museum nearby that features his paintings as well as other family members. It also has the works of other artists. When I am depressed, I go there for a pick me up. Art is private for me. There are so many old buildings in this area and each time I pass one I wish I was able to put it on canvas and create a develop a certain mood for it. I started my journey in watercolor last November and am slowly learning the principles as you have talked about in this article. I find this information very helpful. Thank you for sharing your knowledge in painting. I find it very useful. Thank you Dan, I really like your painting. I am only a beginner and really wish to pick up some of your wonderful hints. Thanks again. Thanks again for sharing your knowledge and experience. Dan , the reason I love painting is the whole learning process. There is sooo much to learn and you’re a gifted teacher. I have tried every medium but mostly use acrylics. The oil painting I did, took too much time to dry. I love watercolors and have done pastels as well. Pastels are great but pricey if you want a good set. I always thought painting was only for the very talented but now realize it is about technique and shading and really seeing the world around you. You are teaching me how to get the effects I want in my art. Thank you!